You are here: Home ﹥ Article ﹥ Where Did All The Experts Go? Where Did All The Experts Go? In my day job as a beauty-writer, one of my biggest bug-bears is having to get ‘expert’ quotes to give a beauty feature some gravitas and weight. 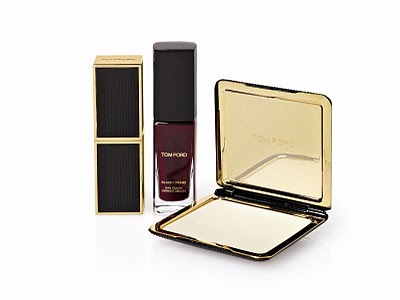 After all, I am being paid to pass on expert knowledge and product recommendations so that the beauty features are not all about the pretty pictures but can offer something useful and worth knowing. These days though, there are so few actual independent experts who can give decent, impartial advice. Twice this week, trying to do a feature, I’ve come up against experts whose advice was to use their products. That, my friends, is not helpful. I wanted expert advice on how to give your lips a ‘facial’ before Valentines day – I know how to achieve that, but it’s not my view that counts. One ‘expert’ just listed all her own products including a brush from her range to brush the products on with, and another recommended brushing your lips with your toothbrush after you’ve brushed your teeth. Arghh. Needless to say, don’t follow that last piece of advice – use a clean, dry toothbrush and very gently sweep it over your lips to remove any loose skin flakes. It is kind of an unwritten rule when garnering expert quotes that if an expert does pass on their knowledge, you manage to slip one of their products into the copy along the way – that’s absolutely fine, and I’d probably be recommending their stuff anyway, otherwise why go to them as experts. But, these days it is virtually unheard of for an expert to give their view without seeing it as a personal placement opportunity. Some of the blame has to lie at the doors of the PRs who represent them. They’re paid to raise a therapist or expert’s profile, and by hook or by crook, they’re going to do that. So, if I use the PR as a conduit, I can be certain that there will be a hefty product placement involved. It is not my job to raise the profile and flog the products of your expert, people! It is my job to write beauty features that are meaningful and accurate with the best possible advice to beauty lovers and readers. Asking for expert opinion is not a commercial transaction. Some brands have truly astounding experts who know every single thing there is to know about skin care and beauty, and I’d love to be able to tap into that knowledge, but it is more or less impossible unless I go back to the same experts time and time again. And I can’t keep using the same people in features otherwise it looks like impartiality. So, it’s a no win situation at the moment that makes me absolutely livid. Needless to say, the expert recommending all her own products was dropped entirely from the feature, so both the therapist and the PR achieved absolute zero coverage on products or advice, thereby shooting themselves neatly in the foot. One product would have been acceptable but only because if I didn’t apply that rule, I would have literally no experts to call upon. Ideally though, I shouldn’t have to. It is cheeky, annoying and not in the best interests of the readers. 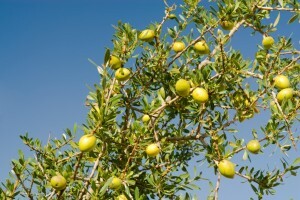 Argan Oil: Is It The Big Fat Beauty Fudge? That’s exactly why I try to stay as independent as possible. One cannot use fresh air to work with but I do try to use a variety of brands. As a beauty enthusiast but with no makeup/skincare degree/qualifications, I find it hard to get unbiased makeup/skincare advice too. I am lucky to have a makeup artist friend who I totally trust and who I relied on to ask advice in the past. You’ll rarely find me at a beauty counter because I don’t know if what they say is true or if they just want me to flog their stuff. Do I really need a toner? I got no idea. The only thing I know is that I need a day moisturiser with spf, as this has been backed up for years by everybody. I also know I need to remove my makeup everyday but that’s about that really. My skin is feeling the benefit of adding a serum every day (started to do that since the last week of December) but I got no idea if I am just wasting money away in adding a non necessary step in my skincare routine. It’s a tough world out there. We’re bombarded with information, yet we don’t know who to trust and if they have a vested interest in the advice they give. I absolutely love all things beauty and make-up related, however, I’m not an expert and I therefore rely on tips/recommendations from other people. I used to love buying magazines, and would usually skip the fashion sections and head straight to the beauty pages. However, I now rarely buy those magazines as I am so fed up of blatant product pushing. It’s really hard to find an article credible when experts are promoting their own products, or when the products that are recommended are from a company that has advertised throughout the magazine (although I do understand that magazines must do this to a certain extent in order to protect their larger advertisers). I now find online blogs more relevant as a lot of the reviews are totally unbiased. I can’t help but wonder how much “product overload” has to do with it. With so many brands competing with each other for the consumers’ increasingly shrinking cash, it’s not surprising that the first thing an “expert” wants is a product or service plug. I suppose they justify it by saying they don’t work for nothing. And in their eyes, giving the benefit of their particular expertise without some sort of payback isn’t an option. But I understand the beauty writers’ frustration that you shouldn’t be held to ransom every time for a bit of indepth knowledge. And of course, I can’t think of a compromise acceptable to both sides. And to liloo who asked if you really need a toner, the answer is “no” if your cleanser is effective and is removed properly. That according to Boots No7 research, with which they are launching their new 2-step “Beautiful Skin” range at the end of the month. I think it’s inevitable that the rules are going to change along with the technology behind it. They really are shooting themselves in the foot. If I read an article and it mentions a product from a particular brand I might note it, but then if every product in the entire article is from that same brand it just comes across as unbelievable and an ad rather than an informative piece. Great piece. This happens to me all the time when writing expert pieces – and I always state in the initial request that whilst I won’t be recommending the brand’s own products, I will slip them in elsewhere as a recommendation – but still the quotes come back full of their own products. I think perhaps a lot of this is to do with the way brands work nowadays. In the past a company made a few products so you had to mix and match, now most brands offer a full suite of products. A lot of brands are also started up by experts so they would have to recommend all their own products. Now we’re a bit older we can take the “expert” advice with a pinch of salt but I remember being fourteen and doing exactly what I was told each month, whether I needed it or not! Some scrubbed to death lips and chemical burns on the legs often followed. It works both ways as far I can see. There are some journalists who on the whole only mention products from one retailer week in and week out as if there was some sort of invested interest. It seems nowadays some brands / retailers have journalists on their books as writers and this must put pressure on impartiality. Difficult one. Written by a journalist too embarrassed disclose their name or perhaps to admit that it came straight from the PR ? I love this blog and value your opinion. When you do promote a brand, you are honest and upfront about it. Through you i’ve tried and subsequently spent a fortune on the marvellous Bioeffect and yesterday bought an Avon eyeliner. And I now spend FAR more on nail polish now than i ever did thanks to you! Surely a client appreciates consumer trust in a blogger more than a crappy so called ‘news article’ that fools no one? I applaud you and others like you that don’t succumb to schmooze or bullying tactics of the client/PR machine. Bravo ladies! Oh dear… I had this problem last week when a PR emailed me quotes from an expert recommending about ten different treatments ALL available from her clinic. Needless to say I didn’t use it but it can be annoying when you’re relying on someone and have a deadline. 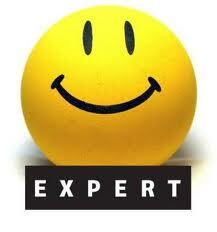 I would like to offer myself as an impartial ‘expert’ if you need information about natural skin care. Although I use a particular brand in my work, and sell the products online I never push them to my treatment clients unless they ask. I do it mainly out of respect for them and because I want them to feel they can come to me for treatments without me pushing products. Nevertheless I sell a lot of product to repeat customers, I hope that is because my customers trust me to use integrity when I give them advice. I dont expect you to publish this comment – just that I wanted to offer my services if you need impartial information about the anatomy of skin and the philosophy behind natural skin care at any point in the future. You can see who I am on my site http://www.graceemmerson.com. Many thanks for an interesting blog.